Dedra Jenkins at age 2 on Easter Sunday morning in building 3 of the Carver Court apartments, a former public housing complex in the Parramore neighborhood of Orlando, Florida. Construction on Carver Court began in 1944 on the site of a former landfill. The apartments opened in 1945 housed 212 residential units. Due to structural problems caused by settling ground, the city demolished the complex in 2002 after relocating the 148 families who still lived in the buildings. Previous residents voted to change the name to Carver Park, and a newly-built development on the site opened in 2009 featuring a 3-acre lake and 203 rental units. The Orlando Housing authority delayed plans to allow residents to purchase homes due to the economic downturn. Original 3 x 3 inch color photograph by Christine McClendon, April 18, 1965: Private Collection of Dedra Jenkins. Digital reproduction of original 3 x 3 inch color photograph by Christine McClendon, April 18, 1965. Originally created by Christine McClendon. Copyright to this resource is held by Christine McClendon and is provided here by RICHES of Central Florida for educational purposes only. McClendon, Christine. 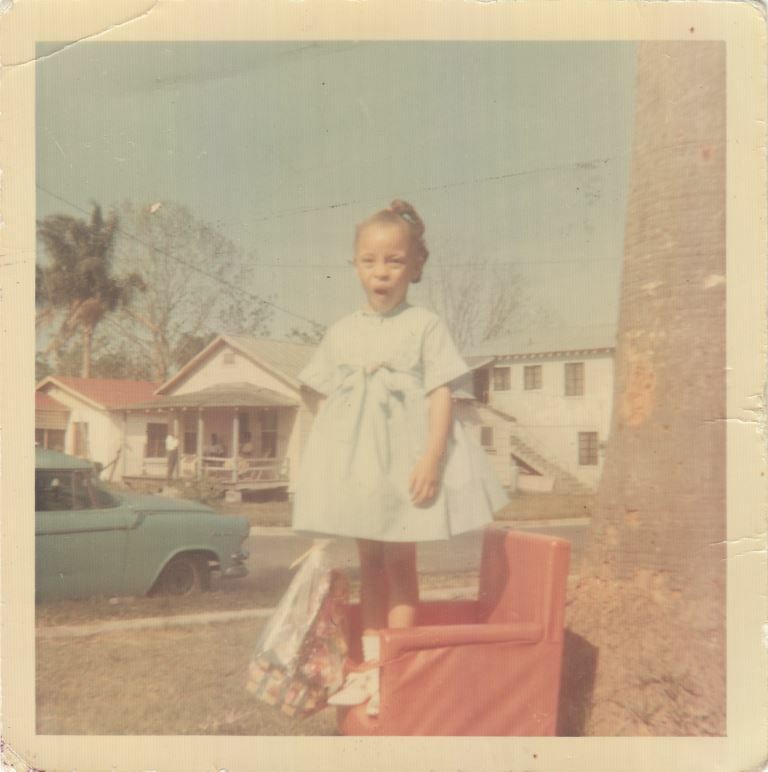 “Dedra Jenkins on Easter Sunday, 1965.” RICHES of Central Florida accessed April 18, 2019, https://richesmi.cah.ucf.edu/omeka/items/show/7774.